In the world of animal rehoming, there is one great mystery that stumps many, even those who’ve worked in the industry for many years; why are some dogs overlooked? We’ve all heard about how black dogs are harder to rehome but here at Loughborough the team are dumbfounded as to why these five special pooches have been overlooked. Collies Kye and Polly, Beagle cross Frank, Crossbreed Cassidy and SBT Stevie are firm team favourites and have been repeatedly overlooked by visitors looking for their new best friend. Age is also a reliable predictor of adoption with dogs under 4 months being the most desirable followed by under 12 months old. Here's what their favourite Canine Carers have to say about them! Kye has brains and beauty. With his stunning colouration and the fact he can find tasty treats hidden away is a breeze, what’s not to love? His favourite thing is walking with his carers and doggy pals. Kye is a pleasure to walk and he’s really helped build the confidence of his canine pals who aren’t always too sure about life. Away from busy kennel life, Kye enjoys a cuddle or doing some fun activities to keep his clever mind occupied. Kye is a very special dog and I really hope someone can offer this lovely boy the home he deserves. Polly is a popular girl here at the centre; all her carers love her fun and cheeky personality. Polly can be a little shy at first and can be worried by meeting new people so she spends her days in our kennels where she isn’t seen by visitors. Sadly this means she is often overlooked despite how pretty and amazing she is. Polly is such an intelligent dog who is always keen to learn new tricks. If she is not snoozing in her arm chair, you’ll find her out in the field playing fetch. Polly just loves tennis balls and will play with them all day! She’s desperate to find someone to love her who enjoys playing fetch as much as she does, please ask about this beautiful girl. Frank is very much a ladies man who is a true gentleman. He can be a little shy at first but is a very sweet and loving boy. He adores the finer things in life and would love to find a quiet, calm home in the countryside. Currently he settles for basking in any sunshine we have and tickles from me while we relax together in our centre garden. I have no idea why Frank is overlooked - just look at him, he's so handsome! He can sometimes get upset in his kennel especially when people walk past him to see the other dogs but he really is a delightful distinguished gentleman with lots of love to give so please ask to meet him. Cassidy is a very loving and affectionate dog and although she can initially be nervous of new people, once a bond is built she won't leave your side. She is a very good traveller and will jump straight in the car and is a very calm and quiet passenger. When Cassidy is out in the wilderness she loves to explore and is more confident in her surroundings, she truly loves long walks. I love training Cassidy as she is very intelligent and enjoys her food rewards which help her learn faster. We have lots of fun going out for walks and Cassidy will happily say hello to other dogs and play with them as long as they don’t ask her to share her toys! I do not understand why she has not gone home yet, she is a loyal loving companion who just needs a lot of love and attention. Stevie is a cheeky chap who loves everyone. He’s a real character and always enjoys going out with his carers. Day to day Stevie takes everything in his stride – he truly is too cool for school which is why I love him. When he’s not out having adventures, he loves nothing more than to chill out on the sofa. I have no idea why no one has chosen Stevie, I think he’s the perfect dog! Please ask to meet this special boy. For more information or to arrange to meet any of these great dogs please contact Dogs Trust Loughborough today! Late opening: Wednesday 12:00 - 19:30 (note: dogs can be viewed until 19.30 but visitors interested in rehoming must have completed a home finder questionnaire prior to 19:00). The ecology here is so rich and valuable to our centre and we are working to ensure all steps are made during our rebuild to preserve the natural balance here at Dogs Trust Evesham. From Bats in our education centre to Great Crested Newts in our pond our aim is to keep our centre enriched with wildlife. As the current pond is so close to the building work we need to ensure their safety is taken seriously and their habitat could be at risk. 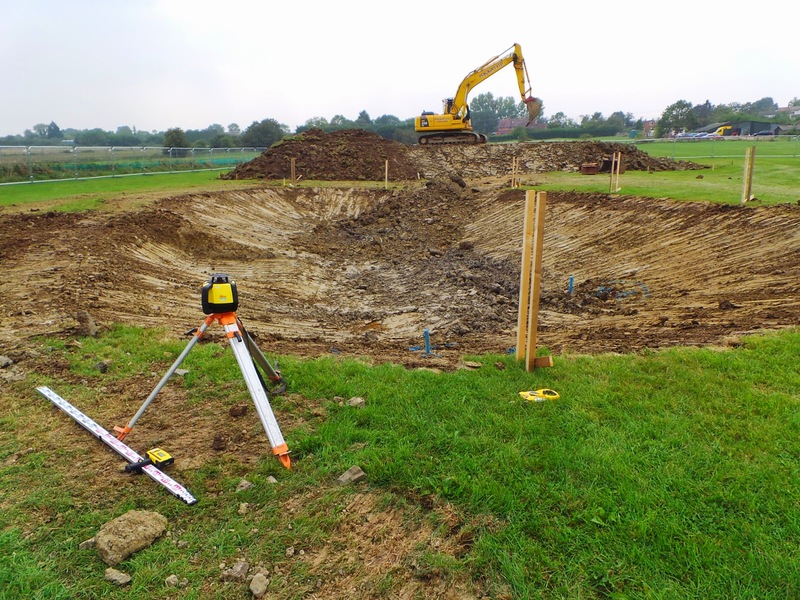 For this reason we are building a brand new pond built with them in mind, away from the rest of the rebuild in one of our fields here. We will be trained on how to safely transfer the newts from one pond to the other when they are ready for transfer. That is not all we have here, in fact on a beautiful summers day whilst walking dogs in our fields you will often be accompanied by swifts darting around catching insects around your feet! They will be provided with bird boxes as will some of the other bird species we have here – all tailored to their requirements and hidden in the trees when we are rebuilt. We have Foxes, Buzzards, the occasional kestrel, Sky larks and a whole host of other birds, insects and mammals – We have even heard Tawny Owls hooting from the woods behind us! The bats will have a brand new pad to call their own instead of living in the education centre loft, they are being provided with “bat friendly accommodation” in our new maintenance barns and dark corridors around the site to ensure safe navigation. 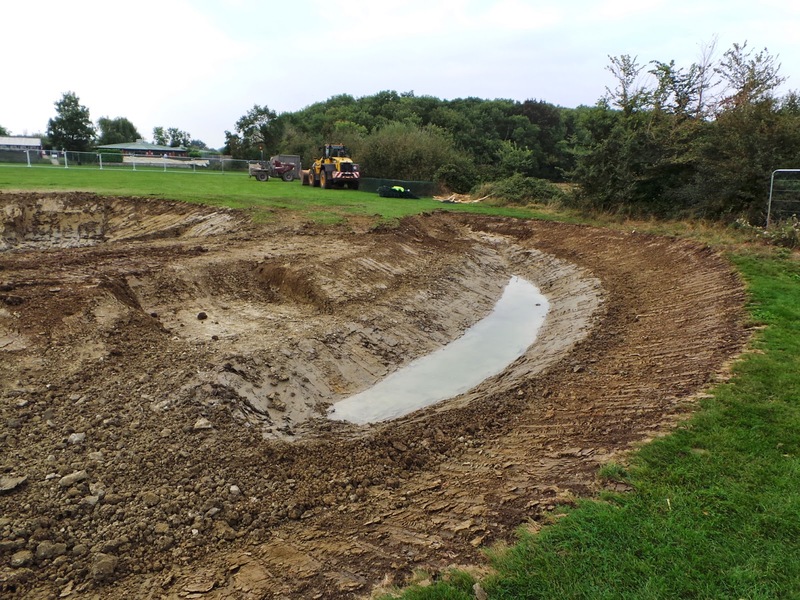 The newts will have a new pond and after the breeding season when they naturally return to our current pond, they will be relocated to their brand new habitat which should cater for all of their needs. As our newts have been breeding this year we are hoping that they will continue to breed and become a treasured and rather special addition to our site! 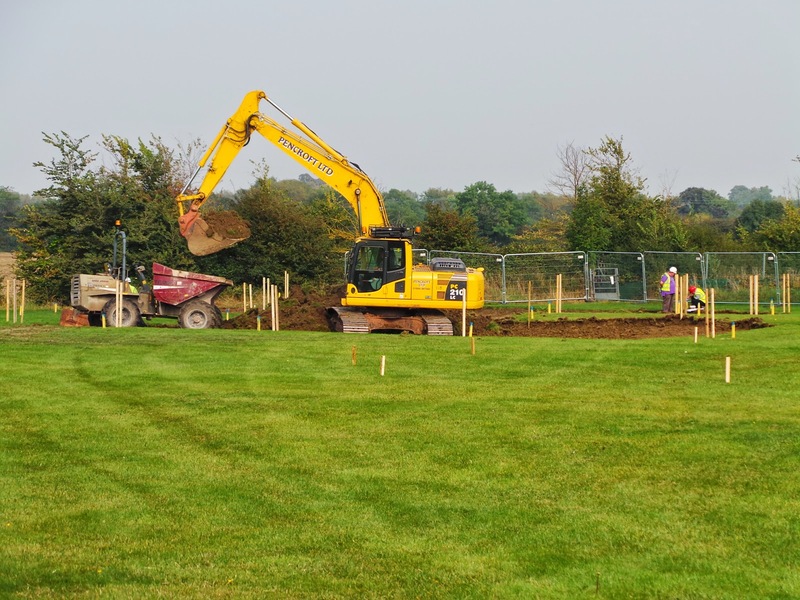 We are working closely with the environmental agencies to ensure everything is done correctly and we are very proud to have such a vibrant and diverse site. We do not just love the dogs here – but all of the animals we are surrounded by! At the end of August we received a very exciting telephone call from former boxer and builder Ray Bulloch who owns R&G Builders and Property Maintenance. Ray called to say that he would very much like to donate over £1000 to us in form of toys and treats for all of the dogs in our care - which obviously we were really very grateful for! Kind Ray wanted us to decide what he ordered for our curious canines so swung by Head Office in his amazing pink builders van - to let us choose the gifts for our dogs. Hannah in our Ops Department had great fun choosing lots of fun toys and treats, which have already been delivered to Dogs Trust Harefield - and will be distributed to all of our centres! We are so so grateful for Ray’s kind gesture, and on behalf of all of the dogs in our care want to say a great big THANK YOU! You can find out more about Ray and R&G Builders and Property Maintenance on his Facebook page! Luna is a 2 year old Alaskan malamute that currently lives here at our Loughborough centre. She is currently looking for an active home who will give her the mental and physical stimulation she needs. Ideally she will live in a home that will work her either canie x or cart pulling to give her the right amount of exercise. The reason we have done a video blog for Luna is to show the work we have been doing with her to help improve her welfare also work on a few of her flaws. The video blog is focusing on teaching Luna a trick routine, this may seem to only be teaching her just a few ‘cute’ tricks but by learning new things in a fun positive way she gets a lot of mental stimulation which helps relieve her stress levels. Week one is just practicing moves she already knows and getting her used to training in an inside environment. In week one I also show some of the training I have been doing with her at the vets as she does not like anyone touching her if she does not know them, this is so I can check her eyes, ears, nose, mouth and paws for the vets with no complications. Thank you for watching, keep checking back for week 2. This week Luna enjoyed her lovely offsite adventure to the iconic Beacon Hill maze which she really enjoyed. In the training barn I have started linking some moves together that could be used in the final routine. In the video I also demonstrated the training that she has been going through to help her remain calm and easy to groom as she needs daily grooming. It is all positive reinforcement based and I give her a treat on regular intervals when she remains calm, if she wants to get up and sniff around I allow her to until she is ready to continue. In this week’s blog we give Luna her feed in a bag attached to a rope being dragged along the ground so she has to chase her food to get her dinner, this is just one of many idea’s that we have came up with to provide enrichment here at Loughborough. Enrichment is a part of daily routine with all the dogs here at dogs trust Loughborough and it helps to keep the dogs mind and body active. This week I had been working on a new trick for her to learn which she was doing really well at so there is a short clip to show her progression with this trick. I did some more or her trick’s routine outside where there are more distractions before moving indoors to Link a few more moves together so I could work out a routine to go through with her. Unfortunately this is the final week of the video blog but I will update the blog on a regular basis showing off her new tricks and progression. In this week there is another new move I have been working on which is a synchronised roll over also there are clips of her softer more loving side. The final routine is shown also but I will be working to do another more impressive routine with her.